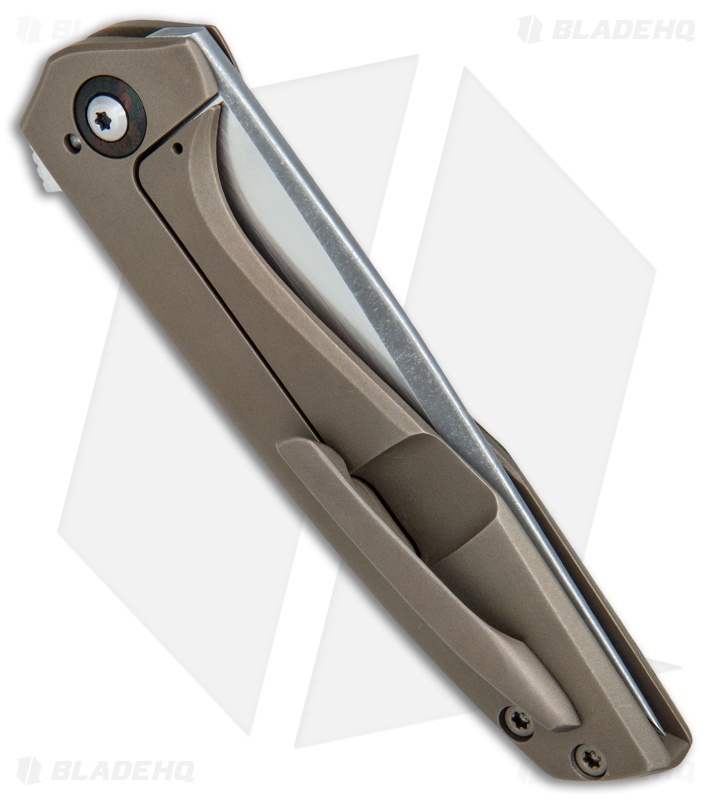 This Custom Switch KM flipper from TuffKnives features a bronzed titanium frame lock handle with a Westinghouse Rag Micarta scale and an RWL-34 blade in an acid stonewashed finish with satin flats. 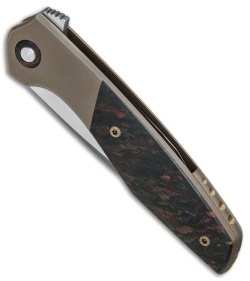 The TuffKnives custom Switch KM flipper is no gimmick, it earned its name by offering instant, unwavering deployment with a push of the flipper. This knife has a bronzed titanium frame lock with a stunning Westinghouse Rag Micarta scale and a titanium backspacer. 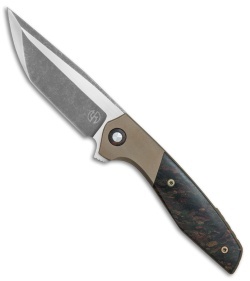 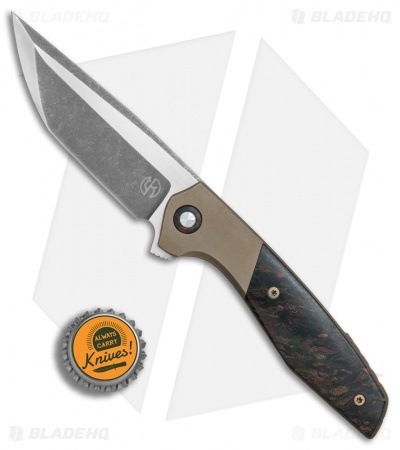 The RWL-34 blade has a compound grind and an acid stonewash finish. item includes a bronzed titanium pocket clip and hardware.